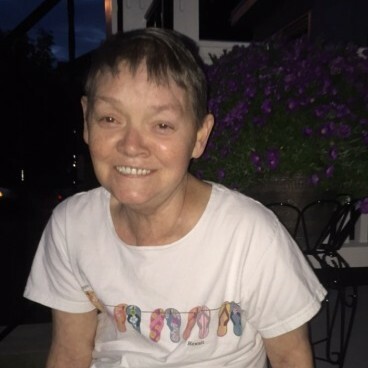 Penelope Ann Devers (65) "Penny"
Of Alexandria, Virginia, passed away Friday, April 13, 2018. Born in Richlands, Virginia. She was the daughter of the late Jimmy B. Justus and Linda C. Justus who survives her. She is preceded in death by her husband, Leonard Martin "Marty" Devers and brother, Randy J. Justus. She is survived by her sons, Christopher M. Devers (Genoveffa), James W. Devers (Tobie), and her grandchildren, Lindsay, Christopher, Haley, and Madalynn. Penny was devoted to her family and relished her role as a wife, mother, and grandmother. She loved baking, gardening, growing flowers, and was always entertained by the birds and squirrels that flocked to her yard. She and Marty spent many wonderful weeks traveling the mid-Atlantic, northeastern, and New England coastlines enjoying the many seashells and lighthouses they encountered along their journeys. The family will receive friends at the Everly Wheatley Funeral Home, at 1500 W. Braddock Road, Alexandria, Virginia from 12 p.m. to 2 p.m. Tuesday, April 17, 2018 where her funeral service will begin at 2 p.m. Private burial will follow at Ivy Hill Cemetery.